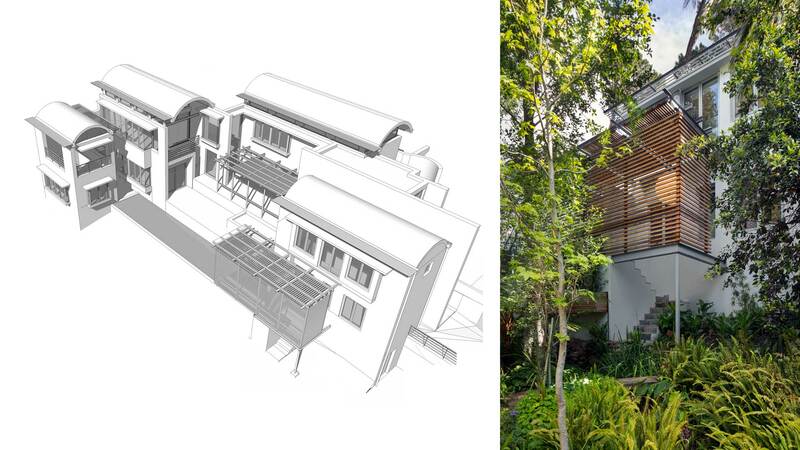 A garden pergola addition to a Van Der Merwe Miszewski Architects-designed house. The pergola screens the pool patio from a neighbour’s gaze, whilst maintaining the close relationship between the house and lush garden surrounds. 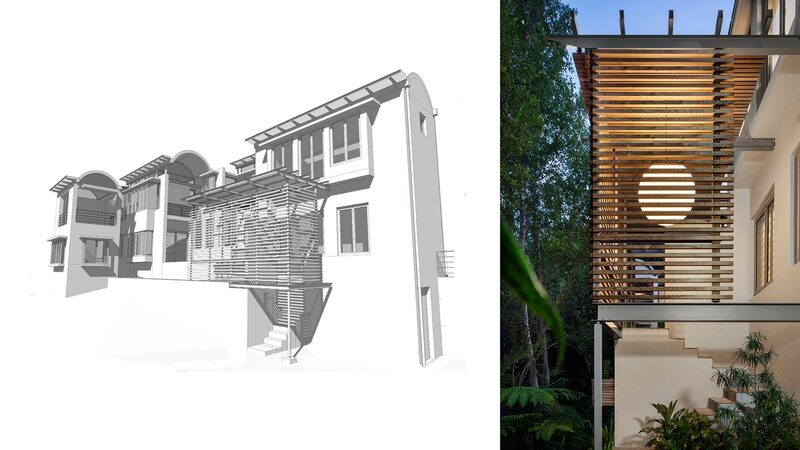 The pergola is sympathetic to the original VDMMA design.